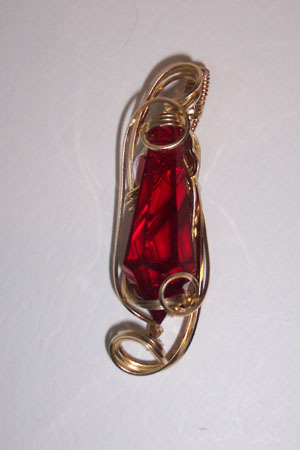 Modern crystal pendant drop prism in deep red. Sculpted in 14kt rolled gold. Measures 2.25"x.5'.